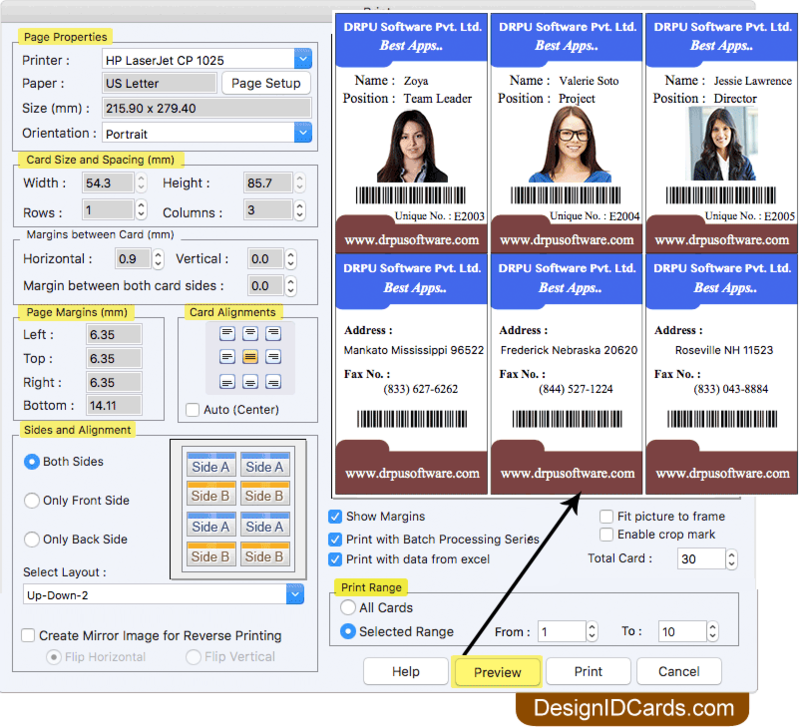 Software provides five modules to design ID cards, choose any one module according to your requirement. 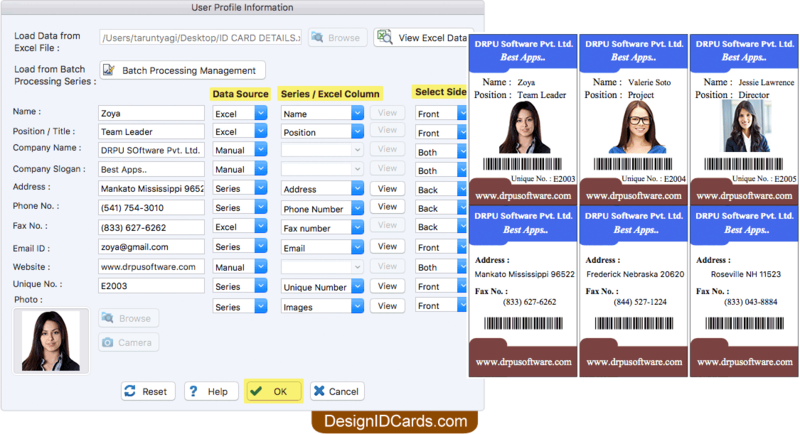 Browse excel file to import ID card details. Select Data Source, Series/Excel Column, Select Sides and click OK button. 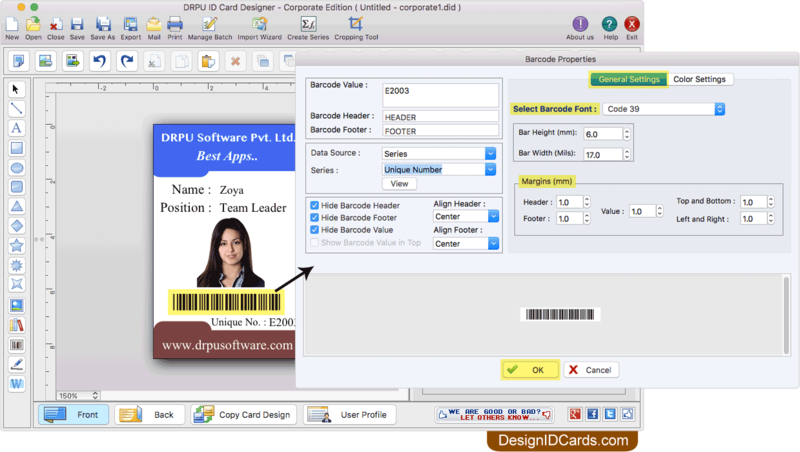 Software has feature to add barcode on ID card. Enter all barcode properties and click OK button to add barcode. Adjust various print settings including Page Properties, Card Size and Spacing, Margins between Card, Page Margins, Card Alignments, Sides and Alignment. Click on Preview button to see the preview of ID cards before printing.